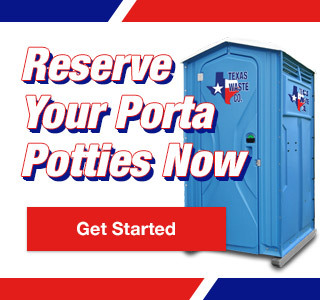 Residential Construction Porta Potty Rental | Texas Waste Co.
Construction jobs in the Houston heat are hard enough without having to deal with unsanitary portable restrooms. You don’t want trades leaving the job site in search of a cleaner bathroom and you don’t want clients or nearby neighbors appalled at the sanitary conditions. The solution to this dilemma can be found with Texas Waste Co. No project is too large or small for our refined residential construction porta potty rentals. With the help of our sanitation specialists, your residential construction site will be equipped with the proper number and type of units to ensure the highest level of sanitation for your employees, colleagues, clients and the surrounding area community. Our industrial hand washing stations and restroom trailers are equipped to handle the rough terrain of a construction site while still providing a professional appearance for visitors. We also offer same day delivery and quick cleaning service so that your residential construction porta potty rentals are constantly maintained and up-to-code. For the very best sanitation facilities in Texas, depend on none other than Texas Waste Co., where sanitation and dependability is an integral part of our daily routine.